EN: I just noticed that a book from a French publisher was constructed in another way of the English ones. 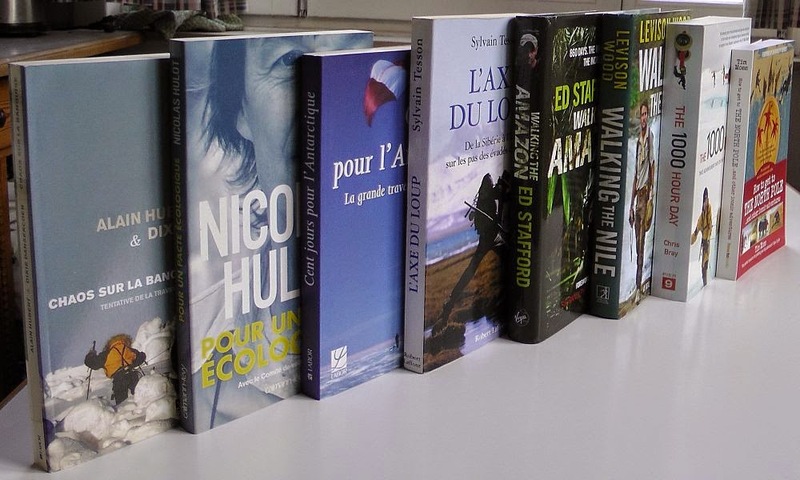 If you want to pile the books horizontally to read the title on the side of the cover, for an English book, the cover is facing up and for an French book the back-cover is facing up. 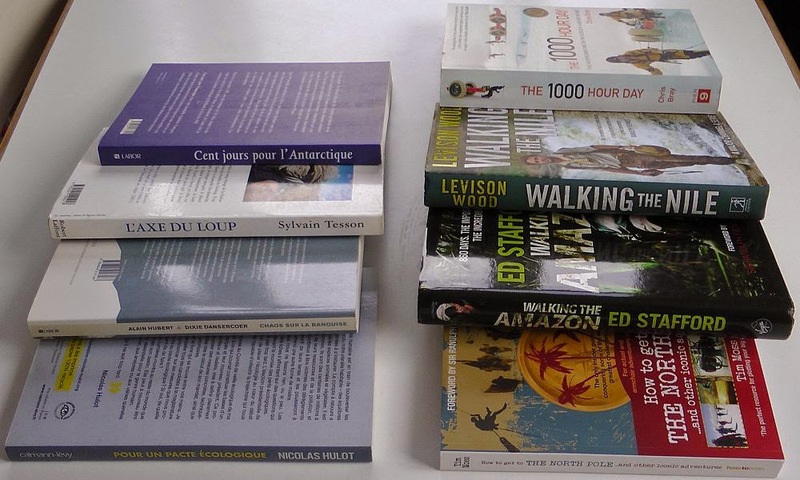 Of course if you want to store your books vertically with the cover on the "right", then you'll read the direction of the title differently (bottom-top for French; top-bottom for English). FR: Je viens de remarquer qu'un livre publié en Français était construit d'une autre façon qu'un livre publié en Anglais. Si vous empilez les livres horizontalement pour lire le titre de l'ouvrage, la couverture de devant du livre en Français est dessous et elle est dessus pour un livre Anglophone. Et donc forcément, si les livres sont montrés verticalement, on lis le titre en Français de la tranche de bas en haut et inversément pour l'Anglais.